Since the first moment that UNIVERSAL HITECH MACHINERY was created we knew that to be recognized in the tool machine sector just sell quality machines are not enough. It is necessary, in addition, having a technical service team able to solve the customer enquiries independent its grade of difficulty. 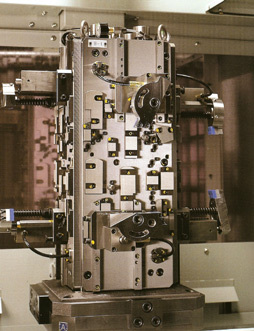 This is why UNIVERSAL HITECH MACHINERY has a trained team technical service able to do any Turn key part study as with CNC lathes as Horizontal or Vertical machining centers as Machining Flexible lines. Since the moment when customer present us the part drawing until the delivery of the machine / s including the necessary tools for the correct machining, clamping fixtures, external robots, inner or outside measuring systems, etc. Our engineer team is together with customers advising in the consecution of optimum result.